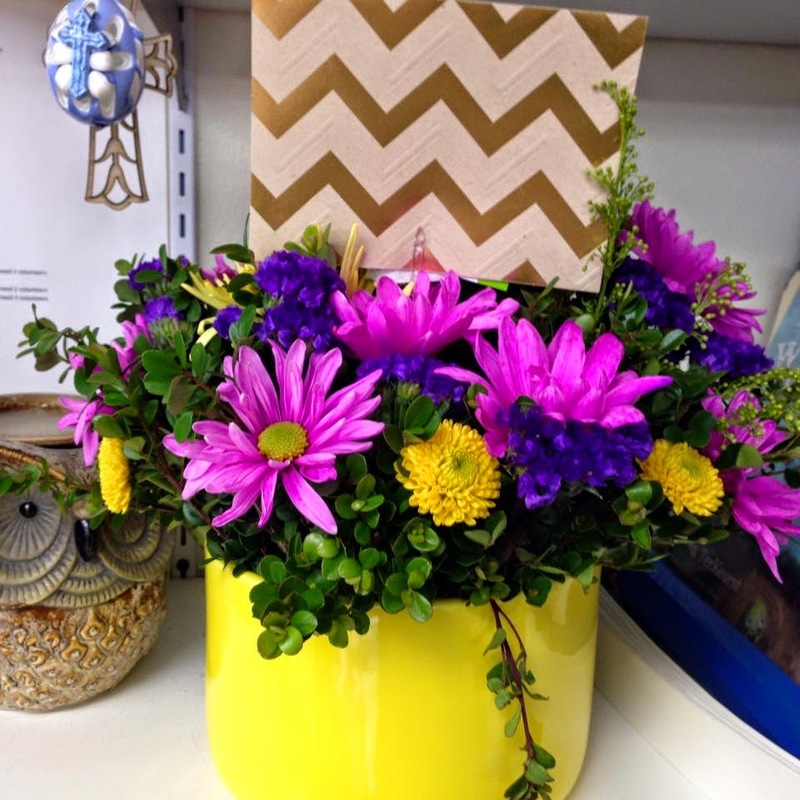 Flowers from a student – he said it was his mom’s idea!! It’s Teacher Appreciation Week! I hope that you are being showered with love. As a parent and a teacher, I have seen the difference that teachers make every day. Thank you for all that you do – the long hours and the heart and soul that you put into everything! My youngest son was just a bit shy when he started 4 year old kindergarten. I should have had a clue from his brief experiences at preschool. He was just going a few days a week to a morning program. There was only one other boy in the class and if that boys was absent my little one would not talk and would try to spend the whole time under the table. I wasn’t planning on sending him to a 4 year old kindergarten, yet alone an all day one, but when I was offered a job at the school it seemed like the perfect opportunity. I’d be at the same school as both of my boys. Surely, that would make the transition easier for him. Oh, that first year! He would go out to recess and just sit on the curbing while the other students played. A few months into the school year his class was combined with another class and they had a new teacher. He totally clicked with this teacher – – it might be that she was a little more like me. He finally started to come out of his shell and make friends. And, it was nice being at the same school! I was even able to check on him after nap time and if he wasn’t awake I would carry him around for a bit to get him to wake up. (Moms, you know what it’s like when your kids get a loooong nap and then won’t sleep at night!) I’m so grateful for the teachers who encouraged him and all the teachers who still work with my boys to help them succeed. I have a discount to share with you in honor of Teacher Appreciation Week. Feeln, a Hallmark company, offers a subscription service for family friendly movies. They have a wide variety of movies including Hollywood blockbusters, classics, Hallmark Hall of Fame movies, kids series and original short films. They have a special offer for teachers – you can get 50% off the subscription price! It is already a very reasonable price when you compare it other services. Just enter the code 0515BlogConnie when you get to the screen that shows the subscription prices and it will make the annual price only $11.99! Click here to subscribe. *Expires May 9, 2015. I love the idea of this service. Keep in mind that everyone has a different idea of “family friendly” so please preview the movies before showing them to your students or family. I like to use Kids in Mind to review unknown movies. One of the series that they feature is Liberty’s Kids, which is recommended for ages 8-14. There are also several animal and nature shows. I was excited to see that they have the Jack Hanna movies. They have some classic kid series like Madeline & Paddington Bear. Today, my 1st graders watched an episode of Busytown while they were eating lunch. That one might be a bit young for most of them, but some of them really liked it. I have one student who loves the Busytown books. Feeln is available online and on certain devices (Roku, AppleTV, Xbox, mobile phones & tablets and some Samsung TVs & blu-ray players). Feeln is sharing a short movie with you this week in honor of teachers. It is about a teacher who is retiring. This is near and dear to my heart this year as we have several teachers retiring who have been a part of the school for a very long time. I can’t imagine them not being there next year! Enjoy this heart warming story that shows the impact that teachers make in so many young lives. The owner(s) of this blog received compensation (subscription service) to provide opinion on this service. Even though the owner of this blog sometimes receives compensation or products for the posts, review or advertisements, Teacher Treasure Hunter always give an honest opinion, findings, beliefs, or experiences on those topics or products. The views and opinions expressed on this blog are purely the bloggers’ own. Any product claim, statistic, quote or other representation about a product or service should be verified with the manufacturer, provider or party in question. « Teacher Treasure Hunter Magazine & Giveaway!